"New Doctor Gives Us a New Reason to Explore The Universe"
What happens if Doctor Who becomes too much about humanity and not enough about space? Like with all great works of literature or art or entertainment, there is much more deep, philosophical material behind the facade of strange aliens. Why the show has become so popular is a dedication not to a character, to a concept: the series as a whole makes a point to show that humans, silly ordinary humans, are amazing and wonderful and can change the world. Or universe. They just need to call or stumble into assistance from a wandering Time Lord. The new Doctor Who gets this--but perhaps gets this a bit too well. Season 11 of Doctor Who has brought about a strangely curious human show--too human, too simplistic, and too ordinary, although by episode four the series seems to be headed in a very good direction. What is most fantastic about the new season is the casting. Star Jodie Whittaker is masterfully cast as the first woman portraying “The Doctor,” the adrenaline-filled alien with a soft-spot for humans who travels the universe looking for trouble. Her spaceship and time machine, of course, is a mere blue police box (nicknamed TARDIS) which she (as all the Doctors before her) has a bit of trouble controlling, often resulting in unexpected trips to unseen planets with unexpected problems. Whittaker excels in showing the humanity behind the “alien” Doctor. She commands the screen with her wit, enthusiasm, and ability to control a team. Yes, the new Doctor is a leader of a team. Without being constricted to the Doctor-companion relationship that has guided the show for so many years, this season’s show features not quite a team of equals to the Doctor (for they lack the knowledge of aliens and the like) but a complimentary problem-solving unit that is refreshing, unique, and just what the show needed after years of different chemistries between the Doctors and companions. 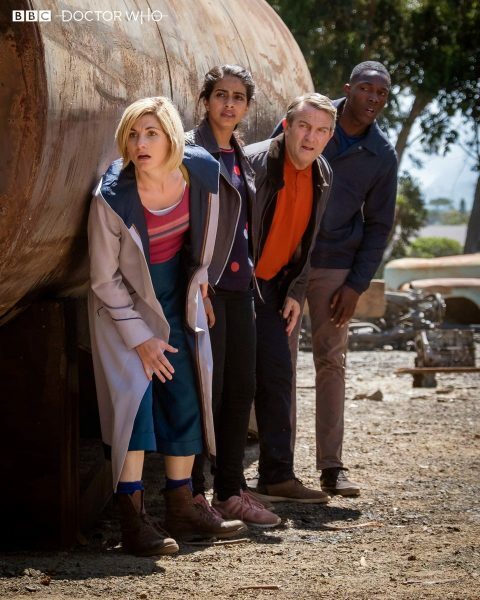 The new traveling team consists of a small-town police officer/constable, Yasmin Kahn (played by Mandip Gill), Graham O’Brien (Bradley Walsh), a Sheffied resident who lost his wife Grace and so is traveling in space as a coping mechanism, and Grace’s grown grandson, Ryan Sinclar (Tosin Cole). 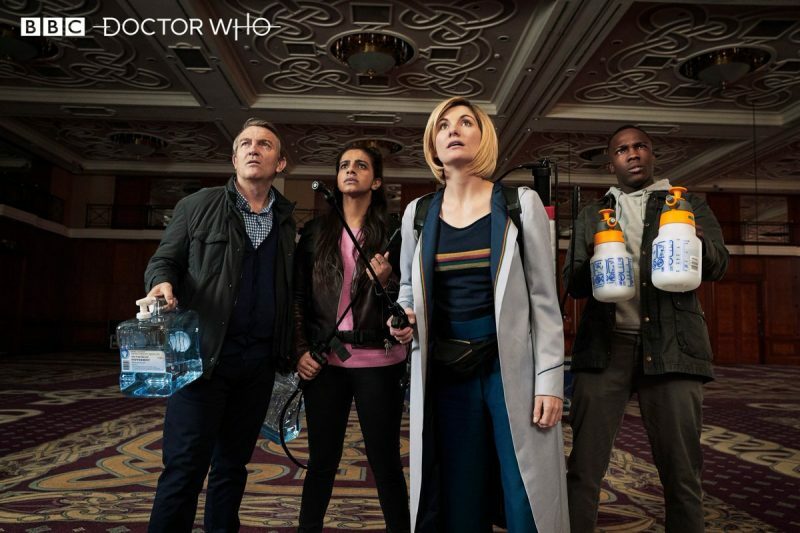 While some of the background of these characters remains a bit unclear, one thing is for certain: they believe in sticking together and they embrace the mysterious places the Doctor can take them. The weakness so far has been in writing, although it has been improving as the season progresses. The writing is less fantastical, less paced. Less edgy. It’s tamer, simpler. The first two episodes featured likeable characters but weaker storylines. More importantly, it seemed to fail to put viewers in the mood--the Doctor Who blend of frantic but lovable adventures that successful episodes produce. 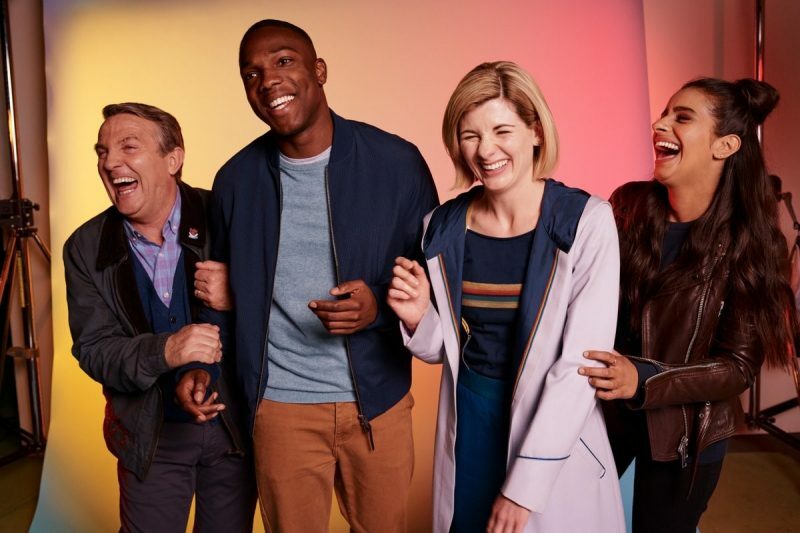 Writers Steven Moffat and Brian Minchin stepped down after season 10, and new head writer Chris Chibnall seems to be off to a shaky start establishing the tone of the show. While episode 3’s trip to Montgomery, Alabama to ensure the place in history for Rosa Parks yielded profound results, it served as a less captivating episode of Doctor Who and instead seemed like a British version of the show Timeless, with the Whovian-cast simply trying to keep a historic event occurring and battling a bad guy in the process. Still, by episode four, dealing with a spider-mutation in the heart of London, the show’s understanding of pacing was finally there. Without being too dark or gross (it’s spiders after all), the show successfully mocked an American (Chris Noth) hotel tycoon, who wanted to run for President, and who built hotels on toxic waste sites, including one in the heart of London. There was craziness and humor (as we visited Yaz’s family), the great team approach led to getting everyone involved, and writing let Whittaker and company display the much needed feeling that all of this is still fun. At the end of a recent episode, Yaz’s sister said to her father (while talking about the Doctor) “She always has the weirdest friends.” The Doctor is still weird. The team is weird. But the more they grow into their roles and are free to truly escape the ordinary, they will thrive. It’s a likeable show that can fit so many genres: sci-fi, fantasy, family, adventure. After returning her team home successfully to Earth in episode four, the Doctor was surprised to find that (of course!) they want to travel with her on future journeys. She warns them “I can’t guarantee your safety. You aren’t going to come back the same.” The team understands this, and counts on it. While our safety as viewers may not be called into question, that warning very well may apply to us all. If you start watching this show, you too will not quite be the same. And you just may find yourself looking for a blue police box and the services of The Doctor.